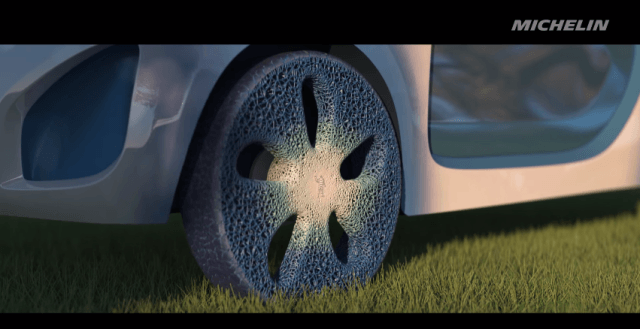 Homecar technologyEnvironmentRecyclingVehicleWasteMichelin Unveils a 3D-Printed Airless Tire That Will Revolutionize the Tire Concept! 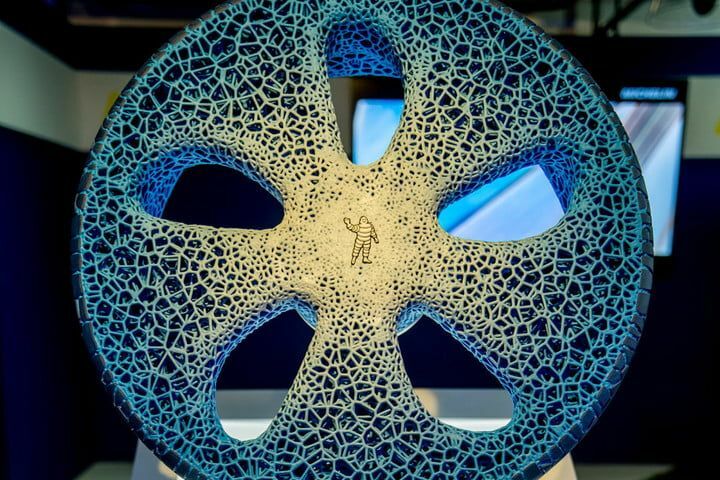 Michelin Unveils a 3D-Printed Airless Tire That Will Revolutionize the Tire Concept! 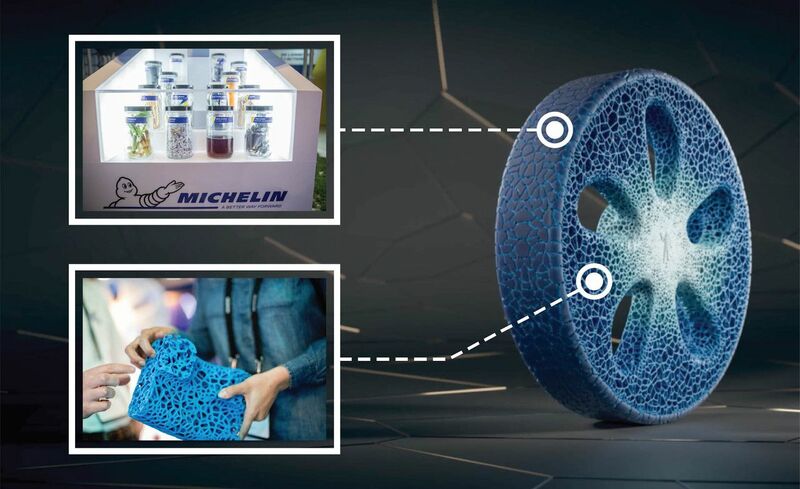 Well known tire manufacturer Michelin introduces an airless, 3D printed tire made from recycled biodegradable like natural rubber, bamboo, paper, tin cans, wood, and plastic, which means it can be totally recycled after its life cycle. 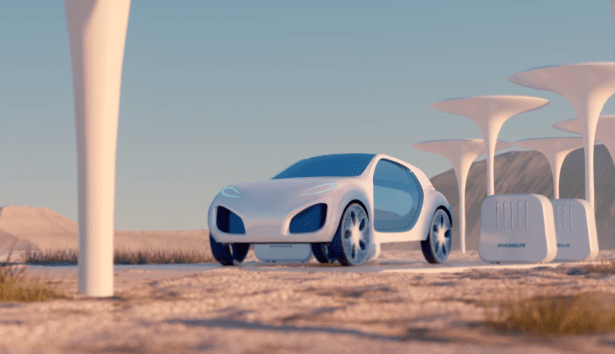 At the Movin’ On Exhibition and International Summit for Sustainable Mobility in Montreal last June 13 – 15, Michelin unveiled this new futuristic concept! Speaking of treads, the Visionary Concept tire also allows for easy switching between multiple tread patterns. Unlike traditional air-pressurized tires, the 3D-printed prototype doesn’t need to be inflated. 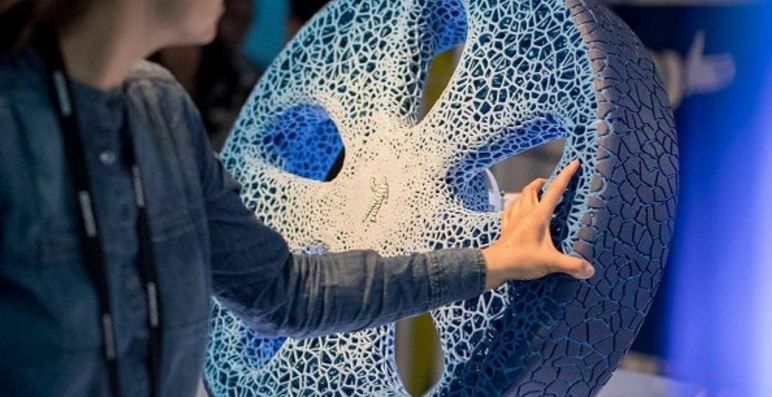 Instead, the Visionary Concept tire uses a honeycomb pattern based on generative design models found in nature, such as coral and the air sacs in human lungs. This design diminishes the risk of a blowout or flats due to punctures. So if you need a winter tire for going up to the mountains or an off road tire for some backwoods driving, it’ll be as simple as the push of a button. However, as this tire is still just a prototype, it looks like the general mass consuming public will need to still use and deal with the vastly inefficient, archaic, pressurized rubber tires for the time being. According to Michelin’s Executive VP of Research and Development, Terry Gettys, he believes it will be at least another 10 years before the finalized Visionary Concept tire can reach the mass market and be sold for public consumption, reports Mobilemag. Considering it could eliminate the need for replacing tires and manufacturing difficult-to-recycle ones, it’ll be worth the wait.